Posted on May 26, 2017 at 6:09 am. An Indian state may become the first to categorise poker and gin rummy as a gambling activity. While online poker and rummy are considered to be skill-based games in the country – India only allows skill-based games to be played for stakes – the Indian state of Telangana wants to amend the law which will ultimately prohibit it. According to the local media outlet, GLaws, the Telangana government may issue an ordinance which would change the Andhra Pradesh Gaming Act 1974 to classify rummy and poker with other gambling activities. A new definition of “cyberspace” may also be included in the amendments. The Act makes most gambling illegal, except for the state-run lottery, horse racing and of course poker and rummy. Penalties are handed down to anyone violating the act, and repeat offenders face imprisonment. The state government is also considering amending the law to ensure offenders face huge penalties for playing online poker and rummy, as well as matka (a form of lottery) and betting on sports. A fine of Rs. 5000 for the first offence has been proposed, as well as jail time for a second offence. If the state government manages to amend the law, Telangana will be the first state in India to define online poker and rummy as gambling games. The country allows these games to be played online legally. Media outlets are not reporting whether the state government is concrete in its decision to amend the law, or whether it is simply considering the amendments. According to reports, Telangana Chief Minister Kalvakuntla Chandrasekhar Rao has been quite vocal about shutting down rummy games and his suggestions may have been heard. But his requests alone may not have prompted the state government into action. In November 2016, the Telangana police filed a case against the online rummy website Ace2Three. The action was based on the company allegedly cheating players by manipulating software. The police acted after a complaint was made on behalf of the former legislator of the Bharatiya Janata Party, Yennam Srinivas Reddy. 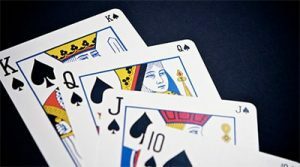 A month earlier, the Supreme Court dismissed several petitions by Indian state governments seeking legal clarity over rummy in regards to whether it was a skill-based game. The Court ended up leaving it to the state governments to decide. India’s Supreme Court has also recently announced it will be holding a hearing to determine if sports betting has a high enough level of skill involved to be exempted from the country’s laws which were written in 1867. How this will impact the amendments proposed by the Telangana state government is not clear.